Try this all-in-one data recovery software for Windows, Mac & Linux to recover data from various file systems, viz. HFS+, HFS, ex-FAT, NTFS, FAT, Ext1, Ext2, Ext3, & Ext4 on a Windows computer. This versatile toolkit also supports RAID recovery for Windows. *Free download version works on Windows system to preview recoverable files only. The world’s first and only data recovery software that runs on the Windows machine and recovers data from any Windows, Mac, & Linux storage drive. By using this DIY utility, perform data recovery on Windows PC—especially when your Mac or Linux system is not working. The software enables you to recover all lost, deleted, or inaccessible data by connecting the troubled Mac or Linux hard drive to a Windows computer. The tool even allows you to retrieve data from Windows RAID drives. 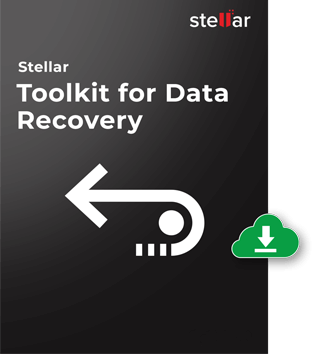 The Stellar Toolkit for Data Recovery software provides the option of RAID Recovery on the Recover Data module. It supports data recovery from 3 RAID levels — RAID 0, RAID 5, and RAID 6 array. You can rebuild RAID and recover data by selecting the possible options provided in the recovery window even when the RAID parameters are unknown. In case the software fails to build RAID due to incorrect RAID parameters, the software constructs RAID by the provided parameters. Subsequently, you can recover data from the Virtual RAID drive. Many a time, multimedia files get damaged or corrupt before or after data recovery. Videos and pictures are most vulnerable to corruption, and no easy fixes are available. This all-in-one Data Recovery toolkit offers two unique features to repair the corruption of video and photo files seamlessly through the Repair Photo and Repair Video options. The first option helps you to fix damages in any photo files while the second repair logical corruption issues with video files. Being a DIY software; you can repair the corrupt media files by yourself. The world’s only data recovery bundles an exquisite Stellar Drive Monitor module. When you opt for the Monitor Drive option from the main interface of the toolkit, you can easily monitor the health of your connected storage drive be it Mac, Windows, or Linux on your Windows PC. The module extracts the current temperature, performance, and other parameters of the storage drive for dynamic monitoring and warns when they reach their threshold. The module also allows you to make a replica of the stoage drive to another destination through Clone Disk functionality. This advanced software gives you an option called ‘Deep Scan’ to scan the connected Windows, Mac, & Linux storage drive sectors-by-sectors. This advanced scanning ensures that no block of the hard drive is left behind for finding the lost files. If the data recovery results are unsatisfactory from the Quick Scan, then switch to Deep Scan module and recover everything which was either lost or deleted from the storage drive. Can’t find your disk or partition on Mac, Linux or Windows storage device? Try this toolkit since the feature 'Çan’t find Drive‘ helps you analyse the physical device thoroughly and brings lost HFS, HFS+, NTFS, FAT, ex-FAT and Linux partitions back. Once the toolkit software finds the lost partition; you can select one partition at a time and run advanced file recovery for best results. 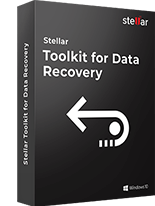 With Stellar Toolkit for Data Recovery, you can recover your data lost due to formatting or erasure of any Mac, Windows, or Linux data storage media. The toolkit software is programmed with advanced algorithms to scan the formatted hard drive, partition, or any other connected storage media and recovers all your precious data, which are lost because of formatting. 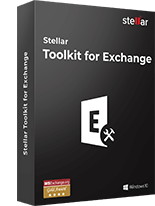 When your Mac, Windows, or Linux storage drive is severely corrupt or contains bad sectors then, Stellar Toolkit for Data Recovery provides the ‘Recover from Disk Image’ option that allows you to create an image file of your affected storage medium. Image file provides an upper edge over disk corruption and bad sectors. Once the toolkit creates the image file, it allows you to use the disk image and recover lost data from it at your own convenient time without the fear of data loss. This Toolkit for Data Recovery software provides a useful option to recover all your lost photos, music, videos, and other multimedia files from any physical storage drive or partition. Advanced users can also select starting and ending sectors of the Mac hard drive to recover those files only from the specified region of the hard drive. Your email and documents are like a treasure, and you mustn't lose it. 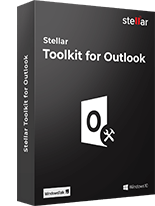 Stellar Toolkit for Data Recovery supports numerous formats of documents for macOS including Word, PowerPoint, Excel, PDF, InDesign, & more. Also, the toolkit allows you to recover lost or deleted emails. It even has an option to add any new file types for data recovery. This data recovery Toolkit provides a way to preview all your lost or deleted files that can be recovered before saving. Preview helps to select the correct files for recovery. The Recover Data module also shows a dynamic preview of the scanned items of the troubled storage medium. After the successful scan, the software lists all recoverable files and folders. To preview, click any listed files from the right pane. In case the file preview is not available, the software displays an appropriate message. You can also turn on/off the preview feature. The toolkit software for data recovery has an amazing utility for monitoring the storage drive of your Windows system. With the toolkit, you can monitor the SMART status and temperature of the drive, disks or partitions. Further, you can find out if your boot drive contains bad sectors by running a surface scan. Finally, clone your Windows start-up disk to another destination and safeguard the data. Can I recover data from Mac external hard drive on Windows system by using this software? 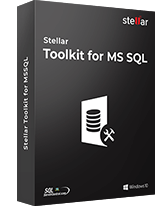 Yes, connect your HFS formatted hard drive to a Windows computer and download Stellar Toolkit for Data Recovery. Install and launch the software, then scan the Mac external hard drive. Preview and recover your lost files by using the software. Does the software support APFS data recovery on Windows? No, the software does not help you to recover lost data from a storage drive formatted with APFS. If you wish to recover APFS formatted drive, then you must look for other Stellar Data Recovery products that provide APFS recovery. 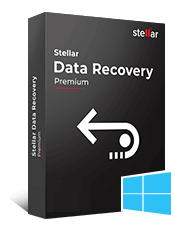 Stellar Data Recovery Technician for Mac is an advanced software for IT administrators and corporate..